This is the first of possibly 6/7 volumes of flights exploring and showing people from all over the world what the English Lake District has to offer. The first being Wainwright’s Walk of 1931. This was Alfred Wainwright’s first ever weeks holiday in the Lake District where along with three of his friends they went on to walk over many of the hills and mountains. To make these flights possible I have created three ortho files @ 18 magnification which is the best (although i can supply 19X which is even better (USB only) which are free to download here on FlightSim.Com (or if you prefer they can be supplied (for a deposit + postage)on a USB stick as two of the files are quite large). You can of course use these free ortho files on their own for you to enjoy the scenery. As I said earlier the files have been specifically created @ 18 magnification for low level visual flight and are ideal for use by the Aerolite 103. Two of the file sizes (3) are large but all three can be supplied on a USB stick if required. A &euro;/$ 25 deposit will be required and &euro;/$21 (&euro;4 p+p) will be refunded on return of the stick. If you would like the scenery at 19 magnification @ just over 200 GB this can only be supplied on USB. The tour package includes additional scenery of airfields, a full set of flight plans and an extensive guidebook in the form of a PDF file. 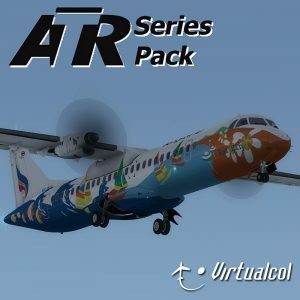 Also included is a new/old livery for the Aerolite 103, which is an ideal aircraft for exploring the region low and slow. The 54 page guidebook is the heart of the tour, offering maps, photos, instructions and a detailed week-long itinerary that will guide your flights to the best parts of the scenery. 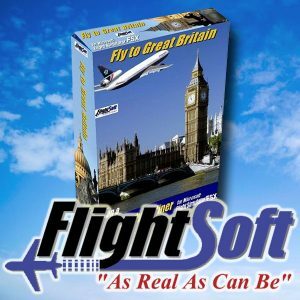 Neil Birch is a long time flightsimmer and has been creating scenery and tours for FSX for many years. 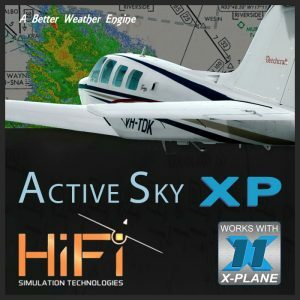 This is his first venture into X-Plane. Neil is a pensioner who lives not far from the Lake District.